We Have Teflon Blocks, Corneal Trephines, Suction Trephines, Endothelial Punch etc. 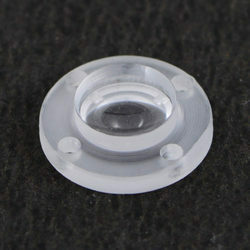 We manufacture a wide range of Temporary Keratoprosthesis lens that has four Suture Struts around its peripheral edge. Once the Sutures are placed, the lens/cornea interface acts as a seal and provides a closed system for a vitrectomy procedure. 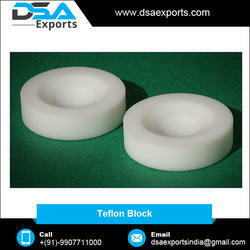 We have marked a distinct and dynamic position in this industry by providing Teflon Blocks. The offered teflon block is manufactured from the high grade material & best methodology keeping in sync with the norms of market. Also, our teflon block can be sterilized by dry heat, autoclave & E.T.O gas. This teflon block is available with us in diverse sizes and other specifications to meet the specific requirements of customers. To serve the requisite demands of our esteemed clients, we are engaged in providing a qualitative range of Disposable Trephines. These disposable trephines are manufactured under the supervision of professionals utilizing finest quality material & contemporary techniques. 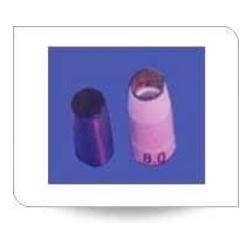 Our offered disposable trephines are come in razor sharp cutting edge & provided in finest packaging options for ensure its quality at customer’s end. Also, these disposable trephines are checked in terms of quality before dispatching from our end. Base with tissue pedestal, tissue retainer and locking ring. The base has one port with silicon tubing, in-line pinch clamp and female luer lock connector. 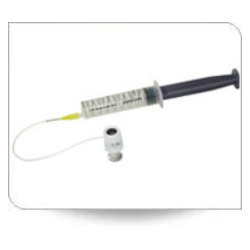 This port may be used to inject or aspirate viscoelastic, balanced salt solution or air beneath the donor cornea. Penetrating Keratoplasty from MK medium preserved corneo scleral button (from epithelial side). This device can be sterilized by autoclaving or ethylene oxide. We are a leading manufacturer, exporter, importer, trader and supplier of Suction Trephines. These suction trephines are very useful instrument to cut button from the recipient cornea. The outer shell of the trephine holds the recipient cornea by vacuum and the internal blade is rotated to take out the diseased button. The offered suction trephines are checked by quality controllers so as to deliver a defect free range from our end. We are a recognized name engaged in providing our precious clients with the best in class Endothelial Punch. 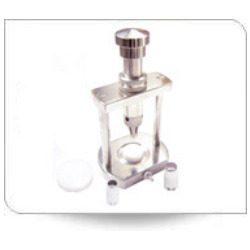 Our offered endothelial punch is manufactured by us using top class material as per the set market standards. The provided endothelial punch gives an excellent donor corneal button punched out from the endothelial side of corneoscleral button. As well, these endothelial punches can be availed from us at market leading price within promised time frame. Universal Any size of trephine from 6 mm to 11 mm can be fitted. Spring Recoil After completion of the cut, the trephine retracts back with inbuilt spring system. Looking for Keratoplasty & Cornea Instruments ?